"Thousands upon thousands of martyrs have heroically laid down their lives for the people; let us hold their banner high and march ahead along the path crimson with their blood!" Mao Tse Tung - "On Coalition Government" (April 24, 1945), Selected Works, Vol. III, p. 318. When I last filed an update with you, I was taking off from a remote Colombian airstrip with the top power brokers of Silicon Valley and Shoreditch, whose identities I cannot reveal. There was barely time to usher Eric, Sergey, Milo and my assistant มาลัย (which means 'Garland of Flowers' in Thai) into the Gulfstream before our makeshift camp was overrun. Destination: Davos. It was a largely uneventful flight, until we began our descent over Europe. Up in the cockpit, Sergey persuaded the pilot to hand him the controls so he could fly the plane solo, using his 'Google Glasses'. The first we knew of this was a blast of icy air as the official pilot disappeared out of sight, parachute attached, far below us. "Our security operatives will pick him up," sighed Eric. "He's just made his last flight." "Relax, the entire mission is now running on Android", Sergey boasted, as he juggled three colourful rubber stress relievers. "You've seen the Clint Eastwood movie, FireFox, right?" he said. "It's all controlled by thought. Well, not quite thought. You need to blink repeatedly to maintain the aircraft's pitch, velocity and altitude." This was not a bug, stressed Sergey, winking. Just like the handbrake in Elon Musk's Tesla Model S, which cannot be released when the battery is flat, it is a feature. "Big Data," I gasped. "That's so cool. So how do you make sense of it all?" "I don't. 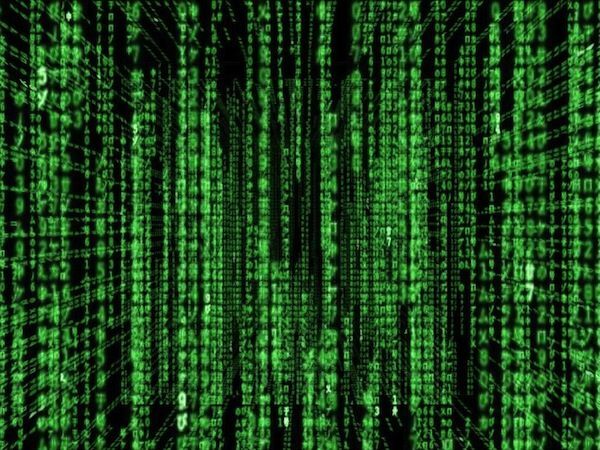 Anyway, that's just Jamie Zawinski's Matrix XScreenSaver. I got Andy to port it." "Google has the highest number of artificial intelligence postdocs in the world. The aircraft is flying itself, just like our cars drive themselves. The blinking simply keeps the system alive, recording and collating the data to improve our behavioural advertising systems, so we can tailor content that is fresh and relevant for you." I rubbed my eyes and looked around me. The freezing mountaintop Alpine air hit me brutally, like the unexpected termination of a Community Investment Catapult. The broken fuselage of the Gulfstream lay smouldering beside us. Eric had landed on top of มาลัย. I pulled him off. Milo was the first to go-it-alone. Claiming he could hear "bailiffs" and that he urgently needed to be in Berlin to judge a Tech Startup Competition, he slid down the mountain and out of sight. "We'll never make it to the Annual Meeting of the World Economic Forum now", I said. "We need a miracle," said มาลัย. "And that's where you can help, Steve," interjected Eric. "Open the incubator." Perhaps have you heard of the Miracle of the Andes. A chartered flight carrying 45 people crashed high in the Andes, and had to survive for two months. Desperate and starving, having eaten leather and paper, the survivors made the hardest decision of all. To survive, they had to eat each other. Towards the back of the plane, in a sealed-off soundproofed workshopping area, were half a dozen of Shoreditch's brightest entrepreneurs. My startups. My babies. And miraculously, all but one had survived. "Now, boys and girls," I cleared my throat. "Do you remember our little talk earlier about Exits?" "Steve," beamed Eric, setting fire to a wad of European Commission-headed documentation in 27 languages, and expertly kindling a small BBQ. "You think of everything." The fire crackled in the Alpine gloom, carrying the scintillating taste of roasting flesh over some of Europe's most dramatic scenery. "So 'Entrepreneur'," mused Eric absent-mindedly, gnawing on a bone, "tastes just like chicken!" "Gentlemen," said มาลัย clearing her throat behind us, and gesturing. While us Alpha Males had been ensuring our survival, my assistant had been hard at work. She had scavenged the broken body of the executive jet, and now the fruits of her labour were beside us: three improvised but fully operational snowmobiles, with their hybrid Eco engines running. We never did make it to Davos, of course. The indigestion was too much. 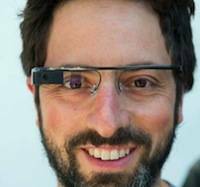 In fact, the 2013 WEF took place with no leading executives from the leading Silicon Valley web giants present. Only you and I know why. Steve Bong is the founder of Bong Ventures, an early stage investor and incubator focussing on innovative new technology start-ups based in Shoreditch, London. When he's not helping rear the next generation of business models, Steve enjoys parties, foreign travel, Open Data and draws his inspiration from Ayn Rand and His Holiness the 14th Dalai Lama. He advises No.10 policy guru Rahul Sativa on mindfulness and innovation, Mark Zuckerberg on the Perfect IPO, the Republic of Kazakhstan on emergent social media strategies, LOCOG on brand enforcement, and imagineered the Olympic Opening Ceremony with Danny Boyle. He wants to pivot the BBC into the 22nd Century, and favours Small Government but Large Catapults.